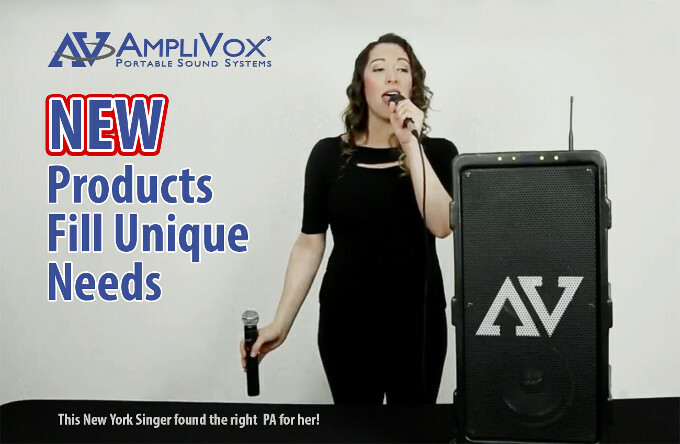 2017 was an exciting year for AmpliVox Sound Systems. 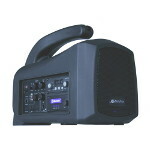 We introduced innovative new products, and unveiled significant upgrades to many of our most popular sound systems. We received awards for both our outstanding products and our commitment to community service. As we look forward to more accomplishments in 2018, we focus on maintaining our momentum. 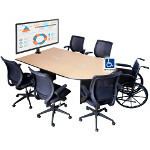 A complete conference room solution with optional monitor mounts, USB and AC power receptacles, and wheelchair-accessible design. Logitech Video Cam for easy conferencing also available. 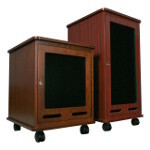 Elegant rack cabinets engineered and designed with safety and security in mind. The standard rack rails allow up to 12U (RC1201) or 21U (RC2101) components to be stacked within the unit. 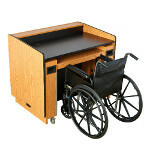 A versatile lectern that combines motorized height adjustment and wheelchair access, offering a stylish yet functional approach to ADA compliance that easily accommodates the mobility-impaired as well as the standing presenter. 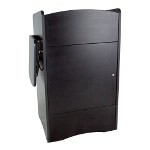 A multipurpose presentation lectern fully equipped with a rackmount system to support and store AV equipment. 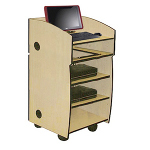 A multimedia lectern with convenient front-door cabinet access and multiple shelf options for projectors, control systems, other devices. 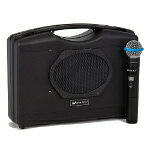 A complete 50 watt presentation system built into a rugged, compact carrying case, with Bluetooth® and an internal dual wireless microphone system option. 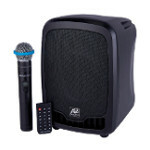 An excellent all-in-one PA system that puts you in command of your presentation for voice or music, playing audio files stored on any USB flash drive, SD card or streamed from a Bluetooth® enabled device. An award-winning ultra-portable 40 watt system offering two digital 2.4 GHz wireless microphone receivers, and a built-in Bluetooth® module for music streaming. 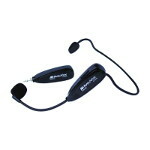 Better than CD sound quality from the 2.4GHz digital S1697 convertible headset/hand-held wireless mic system. 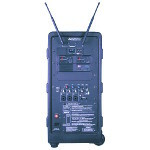 Connects easily to any system with an open mic jack or line in connection. Our most powerful PA for large venues now adds even more versatility with multi-user connectivity and an advanced media player including Bluetooth®. 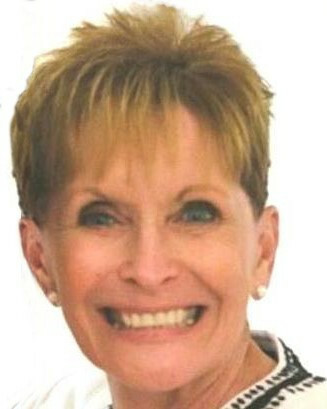 Watch professional singer Carla Bardonada’s review on YouTube. "I am convinced that this is absolutely the best unit there is out there, in terms of portability, battery life, and sound quality."